Gem State Rodeo Association (GSRA) is a youth rodeo organization in the Treasure Valley that has been serving the local community for several decades. Many of Idaho’s top professional cowboys and cowgirls competed in the GSRA as youth, and continued their careers with much success. GSRA’s purpose and mission is that rodeo helps teach kids responsibility, sportsmanship, accomplishment, and provides valuable family time. With the changing times of the “technology” world we now live in, hands on activities for our youth are becoming harder and harder to find. Rodeo is a sport that has kept generations of kids focused on individual goals, therefore less time for the rebellious activities which are too often seen. Currently we have 150+ members from as far as Harper, Or to Boise, ID and everywhere in between ranging in age from 4 to 18 years old, competing in rodeo events in 8 divisions, 4 each for both boys and girls. 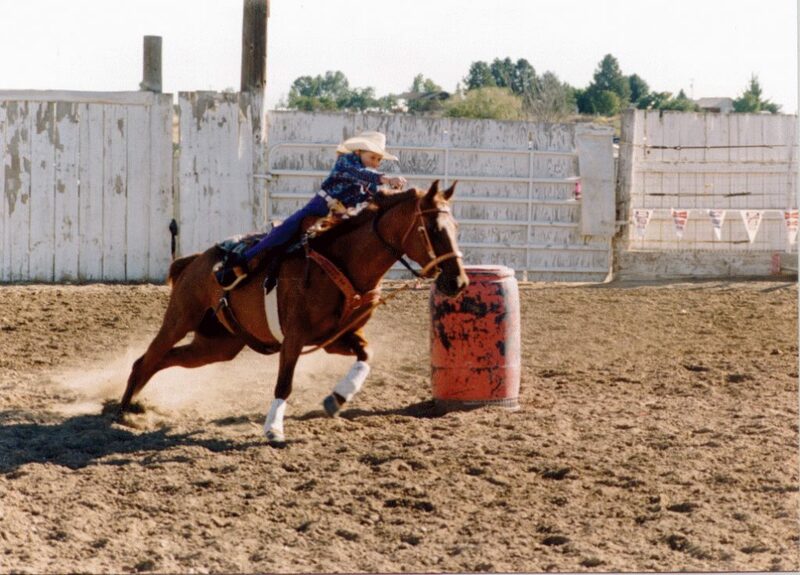 GSRA holds 7 rodeos each year, typically between April and August in various locations. In recent years these have included the Idaho locations of Star, Homedale, Caldwell, Sand Hollow, Emmett, and New Plymouth; and even in Nyssa, Oregon! Our contestants compete for day money and for cumulative season points which determine the season placement for each event and all around placement for each of our 8 divisions. Mini Mite age 0-7, Pee Wee 8-10, Junior 11-13, and Senior 14-18. Our association holds several fundraisers throughout the year which allows GSRA to award a buckle to our season’s top placing contestant in each event/division plus additional awards for each of the remaining contestants rounding out the top 6 places. The coveted, all-around saddle is awarded to the top overall contestant and a reserve all around buckle for our 2nd place contestant in each division. Awards are presented at our season ending banquet featuring a raffle and silent/ live auction of items donated by our member’s families and our sponsors. It is quite a sight to see so many kids cheering on their friends, and enjoying their own personal achievements. Sponsor appreciation is listed in all GSRA advertising, featured on our website: www.gemstaterodeo.com, on day sheets, announcements at each rodeo, and shared regularly on Facebook, and other social media sites. In addition, saddle and half saddle sponsor’s names will be engraved on the all-around saddles. GSRA greatly appreciates your support in advancing our mission and your donations of any amount. Our first fundraiser will be held March 22 from 11am – 2pm at the Idaho Horse Park. It will be a Texas style BBQ in conjunction with the Idaho Cutting Horse Association Aged Event & Weekend Show. GSRA will also have the Boone Bartlome raffle drawing set up…. $10/ticket for a Polaris 4-wheeler that was donated by District 2 High School Rodeo Assoc. Outside we will have a dummy roping contest, where you can bring your kids to meet some of our current members and give the roping a swing while you’re at it!! Entry Fee: FREE come give it a try and meet some of the fabulous Gem State Rodeo team! Rules: Each contestant gets to rope three times. Around the horns is 3pts, around the neck is 2pts, and half head is 1pt. Who ever has the most points after three loops wins. There will be a rope off for prizes if there is a tie. Prizes for 1st place in all age groups!